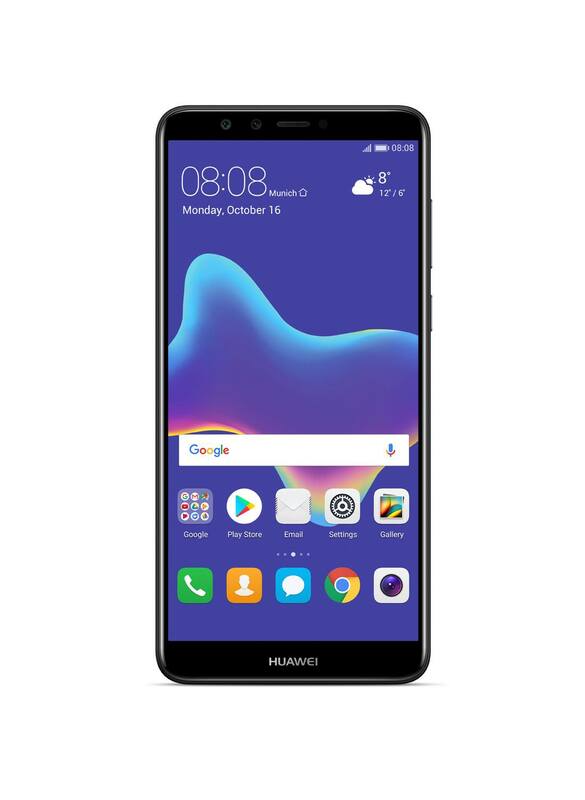 Huawei Y9 2018 has been announced. It comes with a bezbezel-l display of 18:9 aspect ratio dispisplay. It has 5. 93 inch display. It is powered by a 4000mAh battery but do not support fast charging. It has dual cameras at the front and at the back. 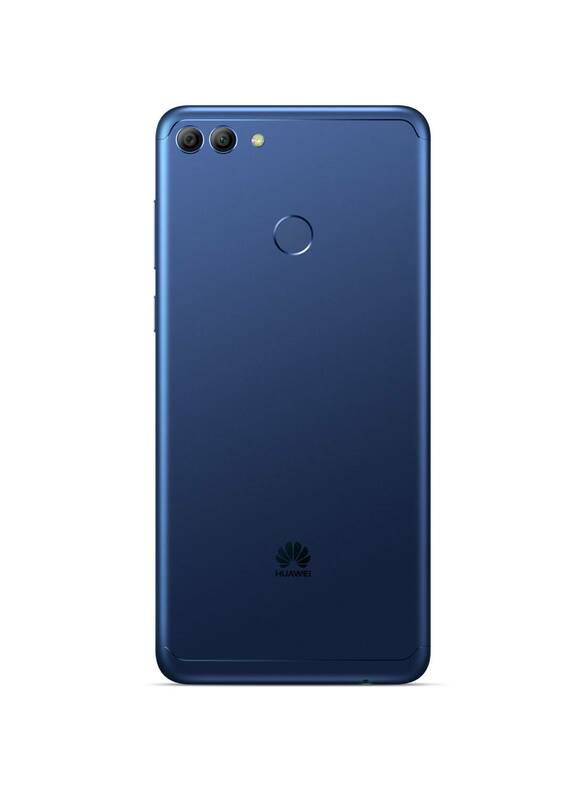 The back camera has a 16 megapixels + 2 megapixels camera with auto-focus and LED flash, while the front facing camera has 13 mega-pixel and 2 mega pixel camera. 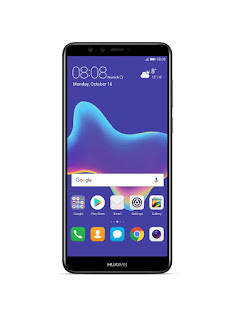 Find below the full Huawei Y9 (2018) specs, features, availability and price. Africa’s Largest Tech & Digital Event is almost here again! 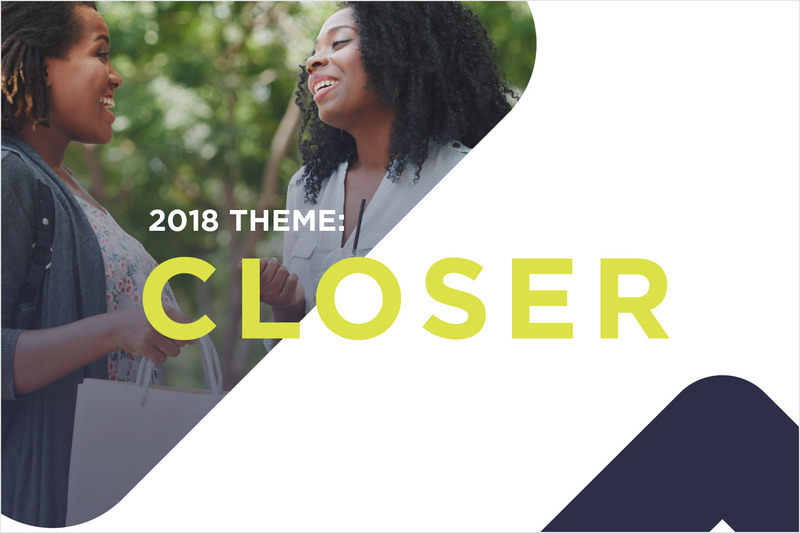 The Social Media Week Lagos 2018, themed “Closer” is set to hold from Feb 26th to March 2nd, 2018. This year’s conference promises to explore how technology reconciles individuality with community, thereby transforming the world into a global village. The event is set to hold at Landmark Centre, Victoria Island, Lagos and interesting, there is no restrictions on who can attend. This is one of events to what out for and if you live outside of Lagos, you can make a reservation at any of the best hotels in Lagos in the cause of your stay. SMW Lagos 2018 invites African communities and global hubs to join in the conversation as various perspectives are highlighted and several voices raised in its week long dialogue over how tech drives individualism as well as exploring how platforms and apps draw people “closer” and foster community. "As Africa moves rapidly towards digitization across sectors, we must ensure people remain a part of the equation. Inclusion and our ability to innovate collaboratively locally and across borders is of the utmost importance. Our prosperity as a continent depends on it." - Ngozi Odita, SMW Lagos Executive Director. Social Media Week Lagos 2018 will assemble individuals with a diversity of perspectives to deliberate over the most productive ways to tackle various issues and drive innovation, as well as improving consumer experiences and bring people together. A major highlight of the event, various keynote speakers will be present. Several masterclasses and presentations geared towards sharing intriguing information and notable ideas are in the works. Future of Media Summit: The Future of Media Summit brings together broadcasters, journalists, content creators and bloggers to share best practices and discuss what's next on the continents media landscape. Travel Africa Day: #travelafricaday programming looks at how the current digital paradigm impacts travel and tourism in Nigeria and across Africa. Governance Day: Governance Day gathers public and private sector representatives, civil society organizations and technology and governance practitioners to share experiences, challenges and advances on the use of technology for good governance. Emerging Ideas and Trends: Sessions throughout the week focused on new ideas and innovations that are disrupting industries across Africa. African Women in Tech Day: African Women In Tech Day features founders and key executives from some of Africa’s most innovative women-led tech startups. This year’s conference will fully engage the theme ‘Closer’ across all the tracks as it discusses what’s next on Africa’s media landscape, the impact of media tech on the booming music industry in Africa. Are you a budding entrepreneurs? Launched in Africa is an amazing opportunity for start-ups to network and showcase their product as well their services to potential customers and users. Join other early stage start-ups reaching out to the most diverse demographic which cuts across different job levels, company size and industry sectors. Here is an amazing opportunity to find an audience that largely consists of professionals in media, marketing and tech. Hello AfricaNXT is a new and innovative experience for 2018, the aim of Hello AfricaNXT is to promote creatives and artists who are contributing to the economic development of the African continent. This part of the event creates a platform for creative innovators to share their products and services through brand exhibition. If you a lover of fashion or a stakeholder in the fashion industry, then the #ShopAfrica pop ups is just perfect for you. From fashion designers & stylists to curators and enthusiasts, find the right network to interact with as well as their products and services. For everything and anything fashion, this part of the event caters especially to local brands by creating a platform to leverage and network with international labels. With the right mix of food and music, the Afro-beats and Eats Fest at Social Media Week Lagos 2O18 presents an opportunity to network under relaxed conditions. Try out various tasty meals by amazing food vendors and enjoy some of the best local acts. This is one of the most exciting ways to connect with people and even find a potential business partners and customers. Join other amazing Nigerians at the Social Media Week Lagos 2018, register for a badge and choose from over 200 sessions. Experience, firsthand focused ideas, insights into trends, business practices and policies that are transforming industries and communities across Africa. Camon CM is Tecno's first smartphone with bezel-less display. Like most smartphones with edge to edge displays, Tecno Camon CM has a display with 18:9 aspect ratio. The display size is 5.7 inches. This Android phone comes with 1.3GHz quad-core processor. It has 2GB RAM with 16 GB ROM. It has a memory card slot that accommodates an SD card with up to 128 GB. Camon CM comes with a rear 13 MP camera with quad led flash and a 13 MP front camera with flash. The phone runs Android 7.0 Nougat and has support for 4G LTE. Powering this device is a 3000mAh Li-ion battery. The phone will be released on 15th of January 2018. You can buy the phone in any online in Nigeria or offline when it becomes available. You will find the full specification of the Tecno Camon CM or CMore below. 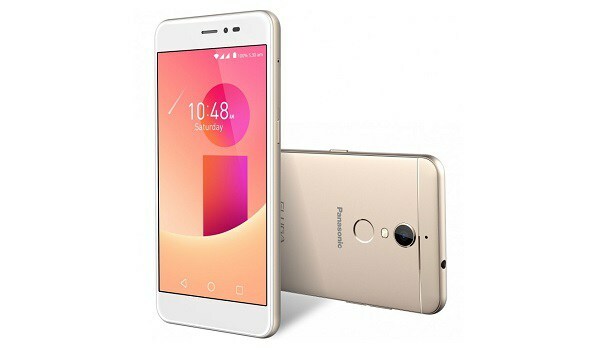 The Panasonic Eluga i9 is a 5-inch screen budget friendly Android phone. It runs Android 7.0 Nougat out of the box. Powering this device is a 1.25 GHz quadcore processor coupled with a 3GB RAM that allows you to multitask smoothly. For your storage needs, this phone comes with 32 GB internal storage. It comes with support of a micro sdcard of up to 128 GB. This smartphone comes with a a 2500mah battery but lacks fast charging. Photography and video is handled by the 13 mega-pixels rear camera with auto focus plus dual led flash. For your selfies, this phone sports a 5mp camera. One of the good things about the recession is that the country becomes somewhat of a buyer's market. The phrase "finders keepers, losers weepers" may come immediately to mind. But the ugly truth about any recession is that people will not hesitate to part with "unnecessary" household goods when attempting to raise cash for basic survival. As a result, sites like Craigslist, eBay, and others become flooded with sales on electronics, laptops in particular. I have made laptop computer purchases on eBay and have had some interesting experiences. If you've found that you're in the market for a new or refurbished laptop, take a quick look at some helpful Do's and Don'ts. The first thing you must do is understand your computing needs. For example, if you need equipment for telecommuting purposes, you will have to know what kind of specifications you'll need to successfully do your job. If you are searching for programming laptops, you should choose laptops with powerful processor. In general, one should recognize how he/she plans on using the piece of equipment. Do you need something exceptionally fast, or with lots of memory? These may seem like simple questions. But for an inexperienced shopper, there are many important details that could be missed. One thing I learned from making laptop purchases is that comparison shopping is key. I would suggest that for every "great deal" you find on eBay, check the same make and model on other sites like Amazon.com, Nextag.com, and even Overstock.com. This will give you a good idea of whether the item's current bids are within reason. Use eBay's advanced search features to make sure you are capturing all the products that you're looking for. For instance, typing 'cheap laptops' in the search engine will yield a smaller number of products---giving you a narrower view of auctions. For those who are looking for a specific price range, or type of product, this might be great. But if you are trying to find the best deal on a wide range of laptops, you will want to broaden your search as much as possible. One of the great things about eBay is how sophisticated their seller background feature is. There are a lot of things that you can learn from this important highlight. For instance, if a seller happens to be a "store"---with its own separate web site specifically---it's a good indication that they have a good handle on computer sales. More than likely you will be able to get in touch with someone who can answer technical questions. But the smaller sellers can be just as good as well. Look at the ratings on the kinds of products previously sold. It doesn't really take rocket science to spot the scary looking ads. If you are bidding on a laptop, and the reserve seems "too high" or close to the "Buy Now" price, it might be a good idea to skip the auction portion and simply choose the "Buy Now" option. This way you don't end up hassling with other bidders and wasting a lot of time. The important thing to consider when doing so, are things like shipping prices. Depending upon the location you are purchasing from, the shipping price may not justify the actual auction price. These are crucial to consider, because once you enter the auction, you are essentially committing to that product, unless you are outbid. Scan the internet for repair services which offer free diagnostics and troubleshooting. Prior to making any purchases, finding a reputable service to help you with even the basic computing needs would benefit you greatly. I once purchased an HP laptop that seemed to be in great working order. But by the time I'd located a repair shop that would have performed a free check for me, the "warranty" period had expired. The next time I made a purchase, I had the laptop examined quickly; the unit turned out to be faulty, but I was able to get a prompt refund with very little effort. If you are somewhat unfamiliar with the product that you're buying, try googling customer reviews for that specific laptop. This is a great way to find out about flaws and recalls that are product-specific. Some models have popular quirks. This is the kind of information that you'll discover by visiting forums and reading the unbiased opinions of consumers. This is a little trick that I learned along the way. I was once advised to wait until the end of an auction to pull out the winning bid. In many cases other bidders won't have time to intervene, and you could win the auction. I am certain that just about 99% of the population already knows this. But I have noticed that focusing your search on auction "end dates" is a great way to buy products when you need them quickly, and don't have extra time to wait. Additionally, if you bid on the first item that you find, you are more or less "committing" to that product. Should you find a better deal, you may get yourself into a sticky situation. Just because eBay seems like a "free for all" where it regards selling and buying products, don't assume that each auction will have the same or similar return policies. You must read all information listed in the auction. Do not assume anything about the policies. For example, in returning a laptop to a seller, I noticed that the policy called for a return within 7 days of purchase as opposed to receipt of purchase. Had I not returned the item within the required time frame, I would not have received my refund. In short, it can be very easy to misinterpret the language we see in writing. If you have any questions at all about the stipulations involved in returns/refunds, communicate with the seller first. If you don't receive the kind of response you're looking for (or no response at all)---then that seller might not be the kind you'd want to do business with in the first place. Are you looking forward to buying a budget friendly bezel-less Android phone? 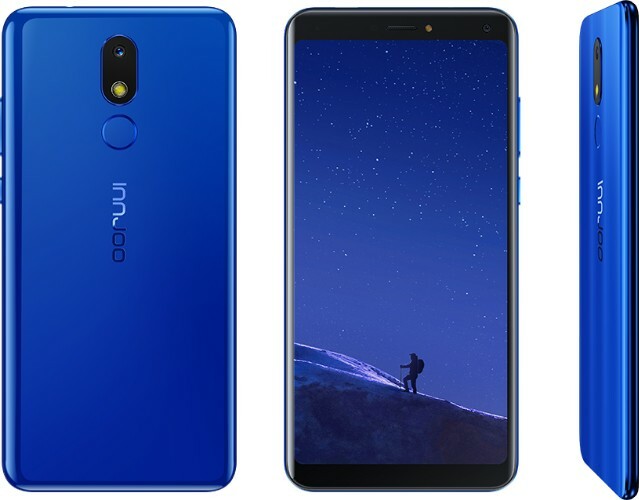 The Innjoo vision might be within your budget. Innjoo Vision has a 5.8 inch display with 18:9 aspect ratio in an edge to edge bezel-less frame. Even though this phone is beautiful to look at, it is price friendly and there for packs average specs. It has 1GB of RAM, 16 GB of Internal storage you get additional storage with the memory card slot that can accept up to 256 GB of SD card. The camera on this phone includes a 13 Megapixel rear camera with flash and a 8 mega-pixel front camera. Powering this phone is a 1.45 GHz Mediatek Quad-core processor. It packs a 3000 MAh non removeable battery. It runs Android 7.0 Nougat with dual-SIM support. It has 4G LTE browsing on this phone is fast. Innjoo vision does not support fast charging. It takes a long time to charge the phone. Jumia Nigeria | from N13,995 View Price Offers, Click Here! Konga Nigeria | from N13,995 View Price Offers, Click Here! See the full specification of this device below. 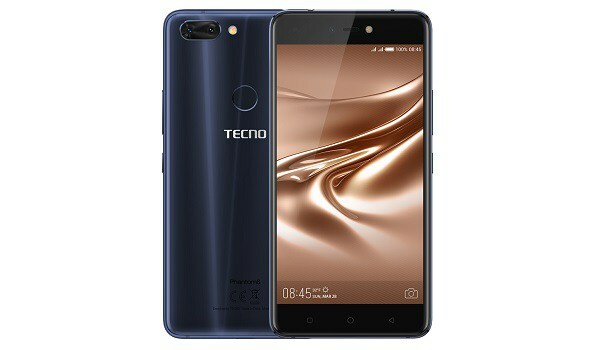 Tecno phantom 8 is the latest phantom Android phone by Tecno mobile. If you are familiar with Phantom smartphone you should know that they are Tecno mobile's flagship smartphone. They are bundled with top of the line features. 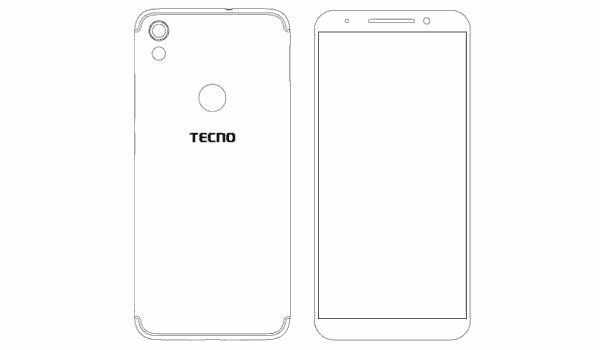 Tecno phantom 8 has a 5.7 inch display. It also comes with dual camera that will allow you take professional level photographs. The dual camera has a 13 megapixel camera and a 12 mega-pixel camera that allows real time refocusing. This cellphone has 6 GB of RAM and an internal storage of of 64GB. Storing large amounts of data and files will not be a problem. You can also get additional storage via MicroSD card. You can install a 2TB memory card on this phone. Powering this Android phone is a 2.6GHz processor. The 3500mAh non removable battery is what keeps this phone going. You can charge the battery from 0 to 100% in just 70 minutes. That's 1 hr 10 minutes. This is because the phone supports light speed charging. The charging port is a USB type C port. TECNO says the design of the Phantom 8 is Diamond Fire Design. Please take 30 seconds to share this Tecno phantom 8 review on social media. Use the sharing buttons below. Microsoft just released the surface book 2. This is a premium 2 in 1 flagship which can double as a laptop or tablet. It's available in the original 13 inch and a new 15 inch size. They both feature powerful components such as Intel 8th Gen Core processors and Nvidia GTX 1050 or GTX 1060 graphics. It is expected to launch in November for a starting price of $1,499. The surface book 2 is as fast as the MacBook pro of the same screen size with an advantage of delivering 70% more battery life of up to 17 hours, says Panos Panay, Microsoft corporate VP of Devices. He said that there is no other device with as much computational power as the Surface book 2. Take a look at the specifications of these devices below. The price of the Surface book 2 will start at ₦450,000 in Nigeria. Hit the share buttons below to share this laptop with your friends on social media. Today I will show you how to use your laptop in bed. We all know using a laptop in bed is not a great idea. It's a very dangerous practice because it will damage your laptop. To avoid spoiling your laptop, there are various things you can do when you want to use your laptop in bed. I'm sure one or two of your friends, colleagues or family members might have told you it's a bad idea to use your laptop on your bed or on the sofa. Simply because a bed and sofa is very soft and blocks the vents that your laptop needs to cool down. Using your laptop for a long period of time, especially if you're using a resource-intensive application usually get it to warm up a bit. What cools down your laptop is the vents underneath it. The function of the vent is to draw in cold air and then blow out hot air. Your bed and sofa or pillows are soft and will simply cushion your notebook and will not allow air to flow freely around your computer's components. This results in an intense build-up of hot air inside your computer's components. This will likely result in your computer shutting itself down when it gets too hot. However, there are some laptops that will not shut itself down even if it's as hot as a pressing iron. This type of laptop will not complain at all even though it's dying slowly. One day, you will just notice that your laptop has broken down. Many laptop technicians right here in Nigeria informed me that inadequate cooling down of laptops is what causes most of the problems that they have to deal with. This is because most Nigerian's cannot afford expensive laptops that can cool itself down effectively. So when they use their affordable or cheap laptop in bed, it breaks down easily because of the the heat build-up. 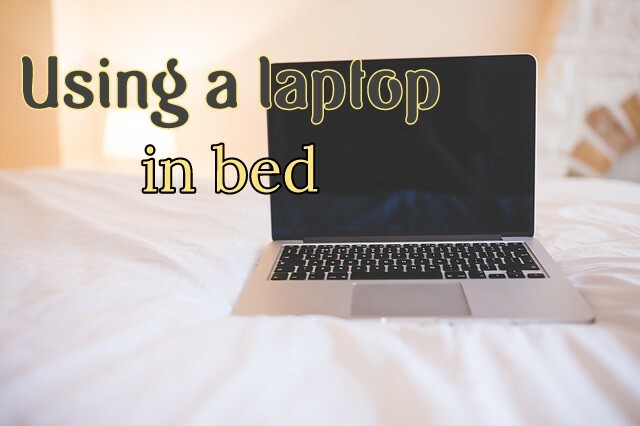 Let's dive into how to use your laptop in bed. You got back from work and you don't want to sit down at your desk again. You wanted to work a little bit more on your computer or just use it for entertainment purpose while in bed. However, you know it's a very bad idea for you to use it in bed and you are frustrated. You don't need to worry because there are different ways of using your laptop in bed without damaging it. All you need to do is get a computer accessories known as a laptop tray. There are various laptop bed trays sold on konga and jumia. So here is the list of the ones that are good and that you can buy. E-table portable laptop stand: This is a Universal E-Table Portable Laptop Stand for Desk / Bed / Office, All In One. It has a cooling function that prevents heat build-up. This Table allows you to work seamlessly with your Laptop / Net Book whether on the bed, living room, car, flight or anywhere. It can even used as a breakfast table. Compact, flat folding table for people living in small, spaces, it is ideal for eating, typing, studying, reading, drawing, and much more, Tabletop slides to the horizontal position for easy, convenient use,Folds into compact footprint and stores under sofa or in closet, Assembles in less than 2 minutes (no tools or fasteners required). This laptop bed trays will allow your computer to cool down because they have a hard surface and they are adjustable and will make you comfortable while using it in bed. Now if you do not want to fork out money for an extra computer Accessorie you can go the DIY route. This is not even going to cost you any amount at all. What you have to do is go into your library or if you don't have a library your bookshelf and look for a book with a hardcover to use as a stand for your computer. If the book is not wide enough you can just place 2 of them beneath laptop. This will prevent the vent from getting blocked. Air will flow freely and you should have no heat build up. The the only disadvantage you have with this is that it is not adjustable like those I have listed above. A reader asked me if it's a good idea to use the laptop on her lap since she is a girl. You would think it's a good idea to use it on the lap since the name of the computer is a laptop (meaning to be placed on the lap). It's a bad idea for you to use it on your lap especially if you are a man and you do not want to damage your family jewels. This is because using it this way causes your scrotal temperature to rise. This can lead to infertility. Your computer should not be placed directly on your lap get one of the accessories or just go the DIY way and get a book to place between your lap and your computer. If you are female or male you might damage your skin if you use your laptop consistently on your lap. You might develop skin rash because of the heat. Therefore, it's a good idea to place an insulation on top of your thigh before placing the laptop on it. Share this post on social media. This might help someone. Make use of the sharing buttons below. 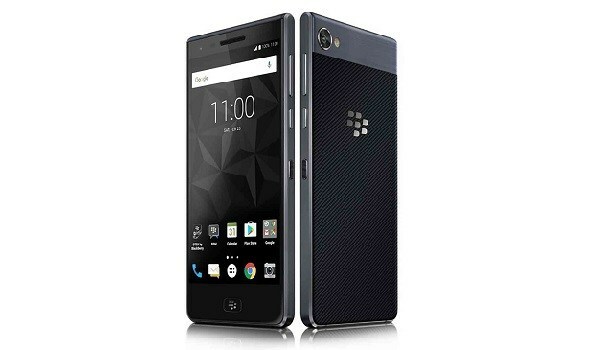 TCL has officially unveiled its latest touchscreen Android phone, The BlackBerry Motion. If you've been keeping up with the new blackberry rumours, you will know that it's been speculated that it will be all-touch screen. This is true for this phone. There is no physical keyboard on the BlackBerry Motion. This device packs a large 4000mAh battery with Qualcomm quick charge 3.0 and a USB type C slot. It features a 5.5-inch full HD display, with dual SIM card slot. Powering this handset is a Snapdragon processor with 4GB of RAM. For your apps and file storage you will get 32GB of internal storage on this device. BlackBerry motion is a water resistant phone with an IP67 rating for water and dust resistance. Photograph is taken care of by a 13 mega-pixel rear camera and a 5 MP front camera. It runs on Android 7. 1.1 Nougat. The phone will be available in the middle eastern markets like Saudi Arabic and the UAE. Eventually, the phone will be available in the Nigerian market, we will update this post to inform you when it's available for purchase in Nigeria. Share this BlackBerry motion price and specifications on social media. You can make use of the sharing buttons below.